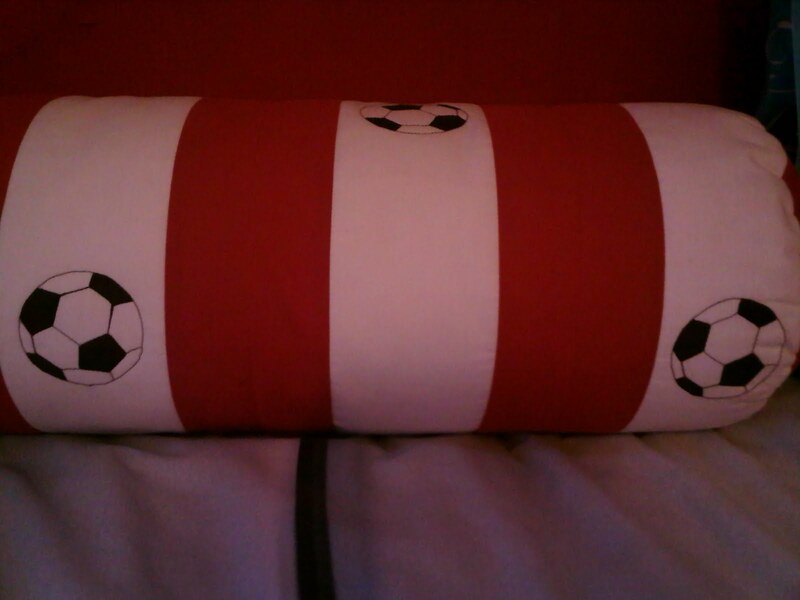 My middle daughter is a keen football fan. She loves playing it, and supports Division 3 Bournemouth Town (the fact that her daddy is from there is of no consequence!!). 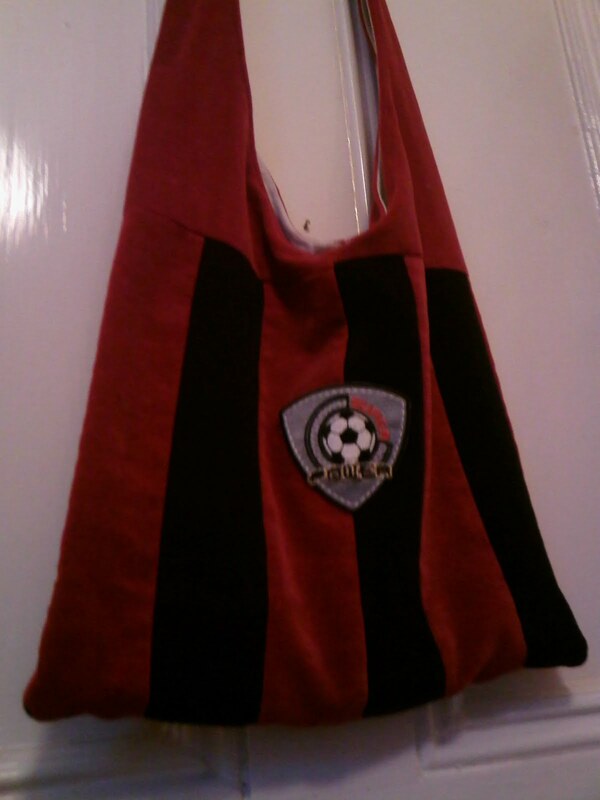 That means that when she wants me to make her stuff, it’s usually in the Bournemouth (aka ‘The Cherries’) team colours – red & black. Sorry about the dark pics! It’s evening time. 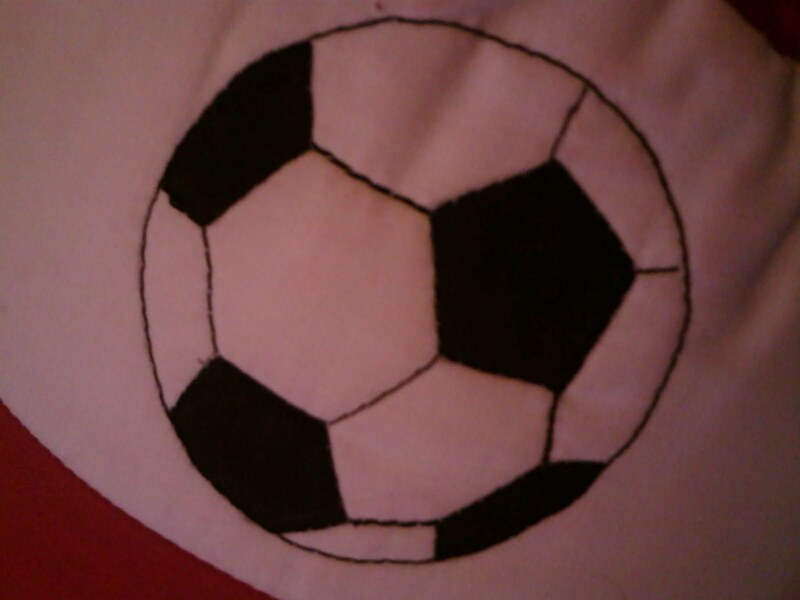 Took me ages machine stitching those footballs! 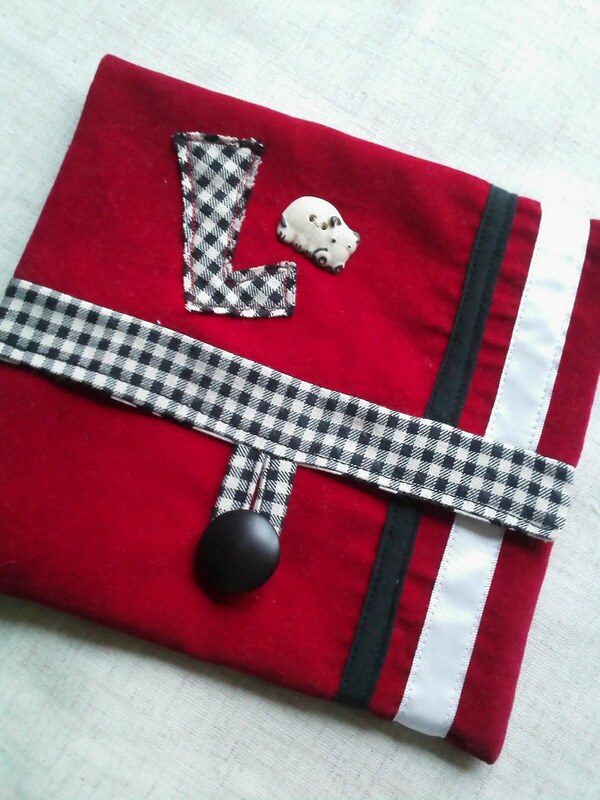 And the other day, she saw me working on my corduroy pouches, thought they were amazing (bless) and hastily put in her request for one to house her DS and mobile phone when she’s travelling in the car. 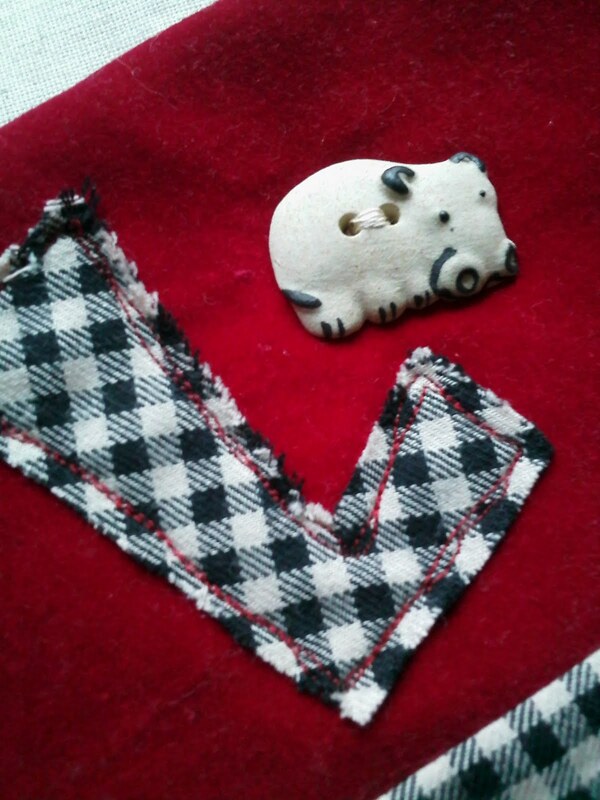 So I let her pick out her fabrics (red & black of course) and the buttons (she designed the ribbon stripes) and voila! She’s over the moon with it. 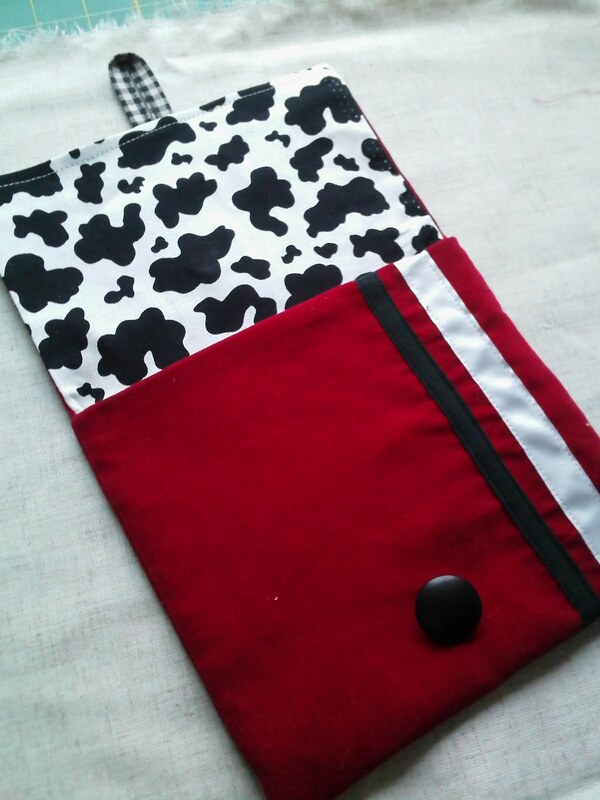 The cow print fabric is a fq she bought me for my birthday. How fitting to be able to put it into one of her makes (or did she always intend that, mmmmm?). Previous Previous post: Doggie Trouble – again!